Tiffany's Online Finds and Deals: 50% OFF High Speed Micro USB Cables as low as $4.99! 50% OFF High Speed Micro USB Cables as low as $4.99! Grab the 3 pack for ONLY $4.99! Grab the 6ft 5 pack for ONLY $8.99! 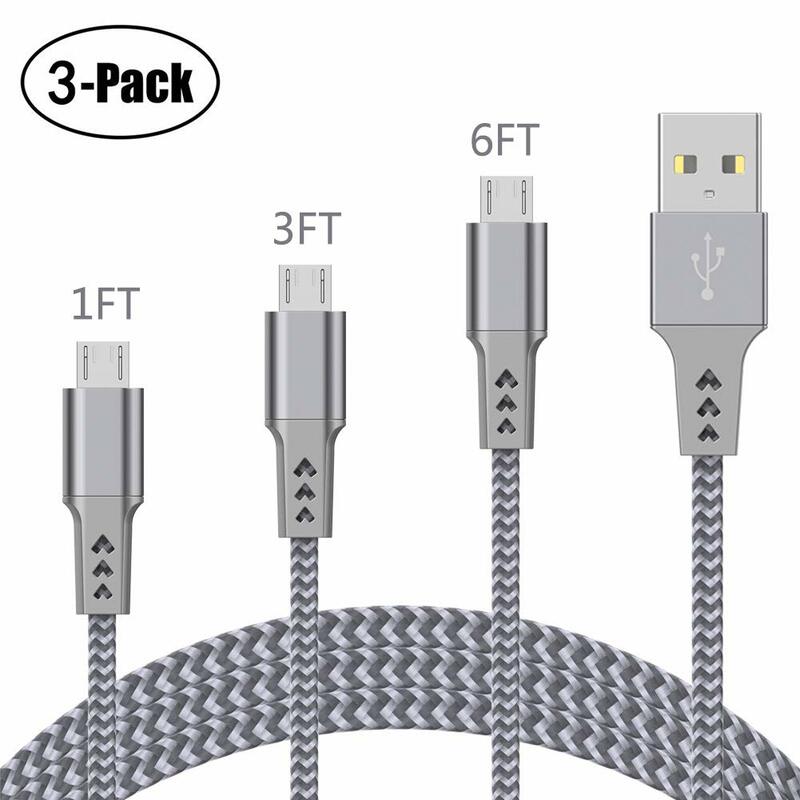 - Nylon Braided, It's more durable and lasts longer than other micro usb cables. Premium Nylon Durable Design, Tangle-Free, Sturdy & Flexible. −We bent this cable over 7000+ times and saw no damage or change in performance. − Quick charger cable with zinc alloy housing, Anti-oxidation, anti-rust. Heat-resistant connectors ensure complete safety and reliability. - The traditional micro usb devices. − In order to protect the battery of your device well and increase using life, please keep connector head clean in daily life and plug in power supply firstly,then to connect your phone to USB port. - To ensure your phone to be charged better,please keep connector head clean and use original charger. −At Bynccea, We believe in our products. That's why we provide Free life long technical support, 12 months of worry-free warranty ensures long-lasting enjoyment of your purchase of these micro usb cables. - If you still have any questions, please feel free to contact us. We will provide you with a satisfactory solution!